Are you looking for a Cosmetic Dentist Near Palm Beach Gardens? If a picture paints a thousand words, then your smile is a work of art. At Juno Beach Smiles, Dr. Riley and Dr. Keuning are dentists and artists. Yes, they are dedicated to making sure your smile is healthy, but more than that they know how to give you a beautiful smile, too. They are skilled and experienced cosmetic dentists who not only enhance smiles, they change lives. An attractive smile can bring shy people out of their shells and give anyone more confidence. All of us at Juno Beach Smiles invite you to read on and learn more about what cosmetic dentistry can do for you. Just as our bodies show the signs of aging, so do our teeth. One of the primary signs is a smile that isn’t as white as it once was. The foods and beverages we enjoy, cigarettes and cigars, medications and tooth injuries can discolor our smiles. Fortunately, there is a solution. 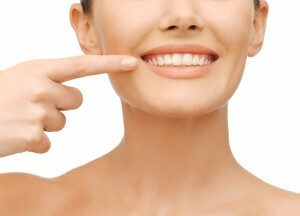 Sapphire teeth whitening is a system that quickly and effectively restores your white smile. With just one convenient appointment, you can have teeth that are up to 11 shades brighter. As an adult, you may think that the opportunity to have orthodontic braces has passed you by because now is not the time for you to have a mouthful of metal. Well, think again. Using Invisalign, Dr. Riley or Dr. Keuning can discreetly straighten your teeth. Clear plastic aligners fit snuggly over your teeth to gradually move them into alignment. You’ll wear your Invisalign aligners every day, only removing them to brush and floss or when it’s time to eat. After about 12 to 18 months, your treatment will be complete and your smile will be impressively straight. If you really can’t wait that long for straight teeth—or if you also have teeth that are chipped, cracked, misshaped, or have gaps in between them—then think about porcelain veneers. These dental wonders are made of super thin shells of dental porcelain that are adhesively bonded to the teeth in your smile zone. Each veneer is individually constructed to correct the appearance of each tooth. Once in place, porcelain veneers together create a smile that is attractive again. Your smile is made up of more than your teeth. There’s also your gum tissue. If you’ve been experiencing receding gums, or if you’ve always had teeth that look stubby, then laser gum contouring may be the solution for you. Your Palm Beach Gardens dentist will outline a perfect gum line and then with laser precision remove excess gum tissue to reshape your smile. Don’t wait another minute to create a picture perfect smile. Contact Juno Beach Smiles, the cosmetic dentist Palm Beach Gardens, FL, and the surrounding communities of North Palm Beach, Jupiter, and Tequesta count on for happy and healthy smiles. Comments Off on Are you looking for a Cosmetic Dentist Near Palm Beach Gardens?